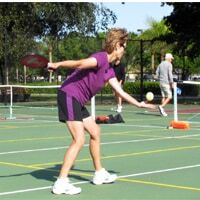 Pickleball Serves - Learn different forms of serves to master the Pickleball. Pickleball is a deceptively clever game. At first glance, it seems to be no different than any other racket sport. But upon closer inspection you see a world full of different techniques and tactics that need to be studied then applied for you to win. 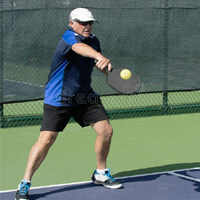 One of the different Pickleball techniques that you need to study are the different serves. 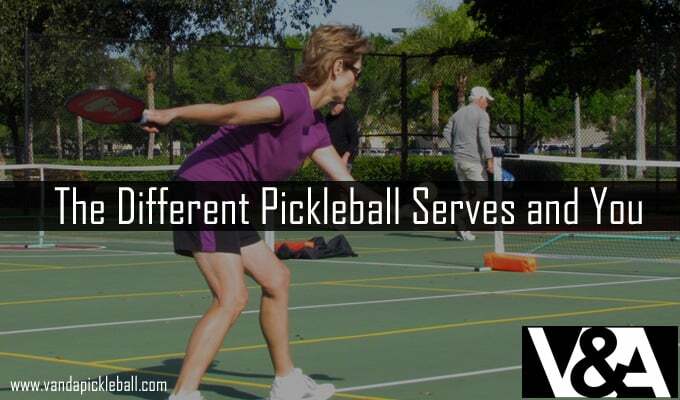 There are many different Pickleball serves that all have different purposes. That’s why we’ll be giving you a basic overview so that you know where you need to improve your game. In Pickleball, serving is a game of tactics, you should learn to manipulate the ball around the court. You don’t want to score a bunch of wild aces, knowing the basics of how to serve properly will greatly enhance your game. Like many other racket sports, Pickleball has its own rules about hitting the ball with the paddle for the first time with paddle. The person serving needs to elevate the ball above the paddle. When the ball has been released, the person serving should then try and get the ball into his rival’s half of the court. During this serve, the paddle can’t make any interaction with the pickleball above the waist while executing this serve. If this happens, the server will be stopped and their chance to serve is lost. This might sound a bit much, but it helps the server in that he/she can receive the best accuracy this way. This serve is when the serves launches the ball high up into the air to make it land near the baseline of the opponent’s side of the court. This forces the opponent to predict where the ball will land, giving the server enough time to come up with a good strategy for the rest of the game. This serve is great for players of any levels and is known as a universal serve. It has a high slow arc, which lands deep in the court near the baseline. It will definitely keep the receiver back. If you employ a variety of serves, it will keep your opponent guessing. Your opponent will then have to create their own power and speed, which can be difficult to do when you’re used to serving back and forth. This serve occurs when the shot is served diagonally and it should fall close to the “kitchen”. This makes it difficult for the opponent to catch, but it will take a lot of practice to get this shot right. This is an incredibly useful pickleball serve for when your opponents are side stacking. If you hit the ball right in front of the first player, they will go forward to hit it back. This leaves the baseline wide open, and you can hit towards that, forcing your opponents to run after the ball, effectively pushing your opponent to the outside. This is when the ball is launched at a fast speed on the other side of the court. This means that the opponent must back away from the baseline leaving the front of the court free for your low shots. This shot is low, deep and very hard. You can add a bit of variety to keep your opponent guessing by choosing where to hit the ball. 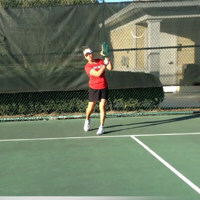 You can aim it at the forehand corner, the backhand or even right at your opponent. It catches your opponent off guard and forces them to act quickly which cane leave them feeling flustered. You can use different, softer serves to draw them in, so that they will start expecting these soft and short serves, but then surprise them with a power shot. That is why it is best used when your opponent is playing forward. To execute this pickleball serve you need to scrub the paddle up against the ball, ensuring that the face of the paddle is tilted slightly upward. This should only be done if you feel that you have an advantage in a kitchen rally. If you do this too soon without an advantage, it will come back at you in a way that you won’t be able to handle. If you’re patient and wait for the perfect advantage, this shot will go in low and fast, and your opponent will be powerless to stop it. This is also a universal shot that is easy to learn and can be used by players of every level. This is a high arching shot that you should try and get in deep. This is a shot that will allow you more time to get from the baseline to the kitchen, without having to be rushed. It also slows down the ball, and your opponent should use the third shot. As most of you know, it is very hard to manage a ball with almost no pace, and that’s where your advantage comes in. They must now hit the ball very hard, creating their own power instead of just blocking a shot. It also keeps your opponent back if you can hit it back toward the baseline. While they go after the ball, get up to the non-volley zone so that you have the advantage of being able to place the ball anywhere in the court. This is by no means the only shots that are available to you. Lately, many pros have been sharing their own strategies, which opens new possibilities to you. 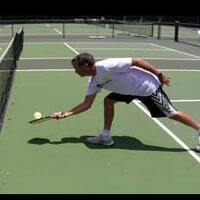 If you would like to learn more, then Pickleball 411 usually has the best tutorials. There was a time when there were no clear-cut strategies, but when people started winning more tournaments, they began sharing their strategies, because Pickleball players are part of a community, and now we have all these amazing techniques to improve our games and skills.